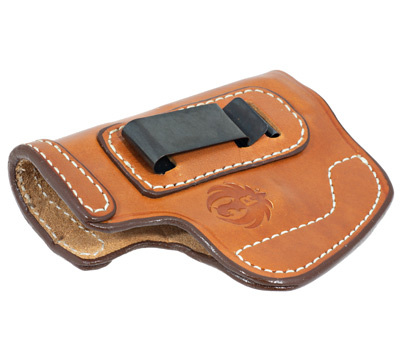 Conceal carry your Security-9® Compact pistol with Triple K's Insider IWB Holster. 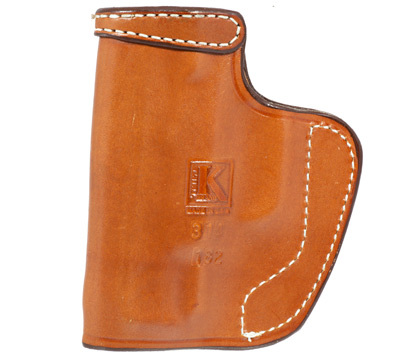 Full-grain leather construction with a metal clip for inside-pants carry. 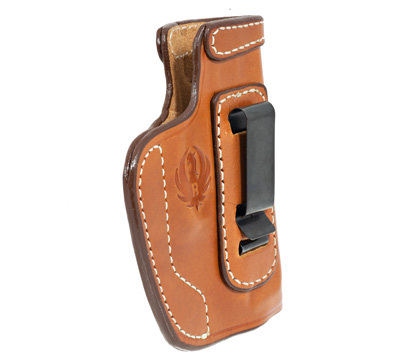 Reinforced at the top for ease in re-holstering. 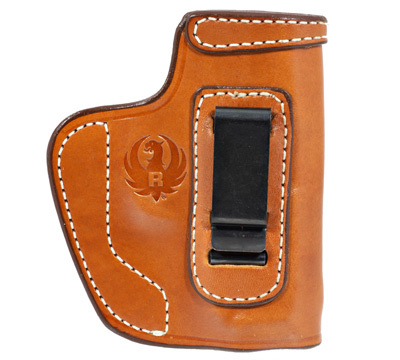 Available in tan only with Ruger logo stamped into leather. Right hand only. Made in USA by Triple K.